Did you know that a good weight loss and wellness camp can work wonders for any teen that is struggling with body issues? As a parent, you always want what is best for your child. If he or she is going through fad dieting and low self-esteem due to the problems that they are having with their weight, you should know that obesity health and wellness camp for teens in the USA could hold all of the answers that you are looking for. After going through a high-quality weight loss camp and wellness program, studies have shown that the participants enjoy an improvement in overall health. This includes lower body mass index, improved blood pressure, and a whole new outlook on physical fitness and enjoying regular exercise. While it is scary to think about at times, battling weight loss is pretty close to having to overcome an addiction. It is crucial that patients have the necessary tools and support to help them with a successful weight loss journey. 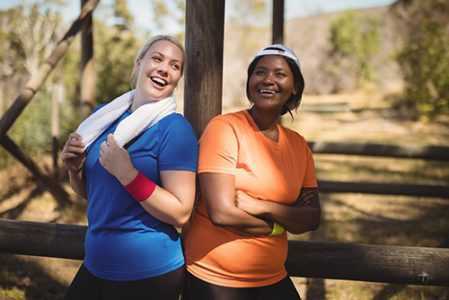 At the same time, interacting with others in their peer group who are going through the same issue can actually help to sustain the weight loss efforts. In the end, it will give them the tools that they need to improve on both a physical and psychological level. In days gone by, the older weight loss camps often had lower success rates. Today, the newer weight loss programs for obesity health allow kids a comfortable environment where they can work to support one another and get the support that they need from professionals and counselors. The fact of the matter is simple in that fad dieting does not work. There needs to be a tailored approach for each weight loss program participant to ensure results. Everyone is different, including their needs for health, wellness, and weight loss. If you have a teen that has been struggling with weight loss, you should think about calling Rites Of Passage Wilderness Therapy to learn about the current weight loss programs and obesity health treatments. While in a safe and encouraging environment, all participants will have the opportunity to go through one on one counseling, group therapy, and a wide variety of bonding experiences and team building programs. The end goal is making sure that the teens are successful with their weight loss and that they have the tools to foster long-lasting results. This is a unique opportunity to enjoy weight loss and encouragement all while being in a beautiful natural environment. We encourage you to make a call to our team at Rites Of Passage so that we can talk with you and your family about all of your therapy options. There are a number of benefits that come from a good obesity health and wellness camp for teens in the USA. All you have to do is make a call to Rites Of Passage Wilderness Therapy at (800)794-0980 and we will be happy to give you all of the information that you need. Before you know it, your teen could be on the path to a happier, healthier lifestyle. It is not all that long ago that parents were sending their kids and teens away to "fat camp" as a way to lose weight. The thing about fat camps is that they were not set up to help kids have the successful and long-lasting weight loss that they need to go on and live a healthy and productive life. If you are interested in good quality weight loss camp for teens in the Northwest, it is best that you take the time to do as much research as possible. 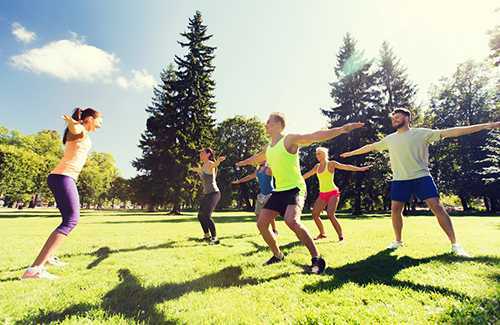 The key to finding a successful weight loss camp is to find one that includes diverse programs mixed in with one on one attention for each participant. The goal for summer camp should be more than losing weight, there should also be a strong focus on making sure that each camper has the tools and skills to use moving forward to make healthy choices. When weight loss is just one of the facets of the program, participants have number a of wonderful options to motivate them to keep going and to have a good time with their peers while taking part in one of the best steps in their life toward a healthier outlook. 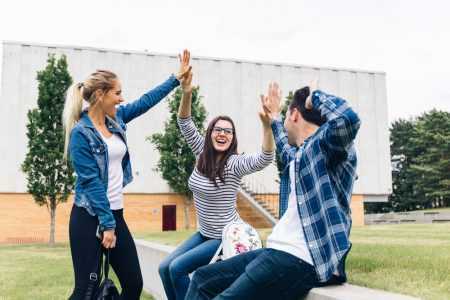 Instead of dreading the idea of going to camp for weight loss, working with a quality program makes the teenagers feel as though they are taking part in a well-rounded program that allows them to feel as though they are part of a family instead of feeling like they are in boot camp. As a parent, you want to be sure that your child is always having a rewarding experience that will benefit them a great deal. 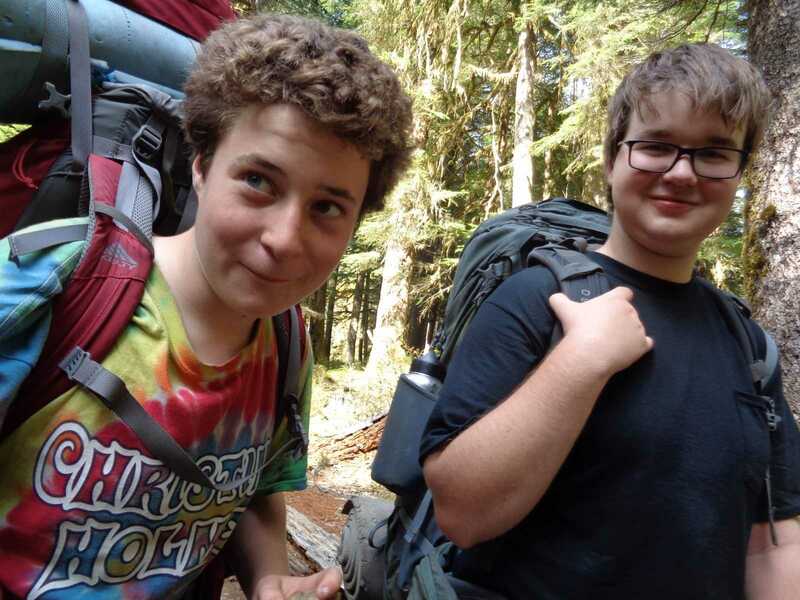 Working with the team at Rites Of Passage Wilderness Therapy allows the teen participants to have an incredible time while losing weight and also gaining precious self-esteem. We make the impossible possible at our camp program and we take the time to offer a customized approach to weight loss and bringing our participants the best possible care during their journey for optimum wellness. It is always our aim to ensure that we provide incredible activities for team building while in a beautiful natural setting. 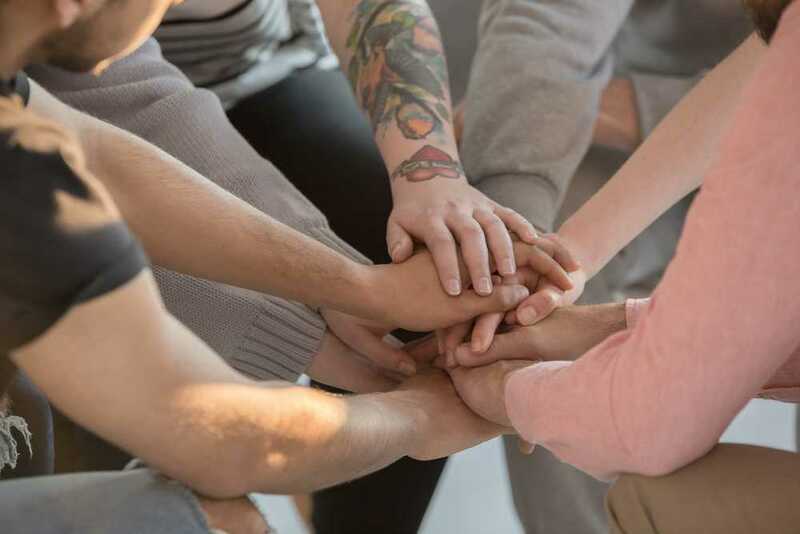 Our staff is always available whenever our participants need one on one counseling and we work hard to ensure that we promote wellness, learning, and long-term health. From the very moment that our campers arrive onsite, they will have all of the guidance and support necessary to set them up for success as they embark on their weight loss journey. Through team building, learning about diet and exercise, and working through emotions and talking in group sessions, our campers have the ability to form a long-lasting relationship in a family-style atmosphere. You will have all of the guidance and support that you need when you work through quality weight loss programs for teens in the Northwest. Rites Of Passage Wilderness Therapy is available to ensure you have a worthwhile and long-lasting experience. Call us today at (800)794-0980 and we will be happy to go over all of your options. When you or someone that you care about makes the decision to enter into a rehabilitation program for alcohol addiction, you are sure to be faced with a number of options. However, one of the more important questions that will have to be answered is just how long of a stay is required. Because there are a number of types of treatment available, understanding each option will help you to come to the best decision. For many patients, going to a Long Term Alcohol Rehab Program in North America is the best choice. While a short-term residential-style program will seem fairly attractive, they may not be the best for your particular situation. Many alcohol addicts that have a family or a job to take care of will go for such an options so that they can be in and out quicker. However, the efficacy will be rather low. More people who are involved in a residential treatment program have a higher completion rate than other types of programs. A significantly longer stay at such a residential treatment setting is generally associated with a much better outcome. The care is around the clock and there are many staff members on hand to offer assistance and guidance whenever the patients require it. Treatment plans that are longer will involve a series of targeted and customized group and individual counseling sessions for the benefit of the patients. Upon entering into a long term treatment center, there will usually be several days worth of detoxification that is closely monitored by trained staff and medical professionals. This will then be followed by lengthy substance abuse therapy and a great deal of beneficial aftercare planning. Such a form of treatment will work well for people who have a severe addiction as well as patients that are subject to a number of temptations in the outside world that could hinder their recovery after leaving a short term rehabilitation program. At Rites Of Passage Ranch, we offer a long term treatment for any young adult that is in need of helpful healing and continuing care. This is a tailored program with a personal approach that includes a daily schedule that fosters growth and bonding while also attending classes, taking part in treks, getting involved in chores around the facility, and more. If you or someone that you love is dealing with a problem with alcohol, you can look to our staff at Rites Of Passage to give you the attention and care that you deserve. We are always available to answer any questions and we look forward to helping you on your healing journey and sobriety. You deserve to know that you have viable options when it comes to a good Long Term Alcohol Rehab Program in North America. Call us today at Rites Of Passage Wilderness Therapy at (800)794-0980 so that we can give you all the information you need. Wilderness therapy is one of the most popular forms of therapy for young adults who are going through different challenges in life. As studies have shown that communing with nature can decrease stress, make one feel happier, and may even help a person to be more kind and generous, it’s no wonder that a majority of troubled youths who have tried wilderness therapy found it to be a positive and wonderful experience. To sustain the healing from this type of therapy, parents must ensure that the positivity from this experience is carried over once their teen comes home. By ensuring that their teenage child lives a balanced and healthy lifestyle, they can overcome the tough times and find a way to rise above the challenges that they meet in their everyday lives. Here are a few tips on how to help young adults live a balanced lifestyle after wilderness therapy. Instead of going to the mall or staying inside the house having Netflix marathons, encourage your child to do activities that will allow them to be in nature during the weekends. Go fishing, hiking, or camping with them, or go horseback riding or kite flying. Not only is it a great way to bond, but being in nature is a good way to live a balanced lifestyle as they gets adequate fresh air, sunshine, and exercise. Moreover, being in nature is a balm for the soul, so keep the spirit of the wilderness therapy alive by making outdoor excursions a weekly family affair. Too much screen time can have an adverse effect on your child. Not only does it promote a sedentary lifestyle which can lead to obesity and other health conditions, but it can also cause teens to engage in aggressive behaviors, cause sleep issues, and result in potential mental health problems. Monitor game time and social media use to help sustain the healing process and set rules for gadget rules during school days. Does your child have a hobby? If the answer is no and you think that they’re just not interested in anything, it’s highly possible that your teen may not have found the right activity that captures their interests. Be observant and have conversations with your child to learn what they’re interested in. If they have been watching a lot of hip-hop dance routines online, they may want to learn hip-hop dancing. If they’re a more of a creative type, see if they’re more into painting, crafting, or restoring damaged items. There are so many different hobbies that may be a good fit for your teen, whether they’re an introvert, an extrovert, or somewhere in between. All that they need is your support and the tools to get them engaged. 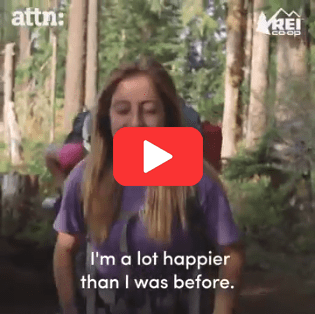 Your love, support, and patience are what your teen needs to help sustain the positive feelings that they got from participating in a wilderness therapy program. Follow these tips so that the healing may continue once they get home. Rites of Passage is so glad to have been featured on ATTN.com for our wilderness therapy program. Watch the video below. If you or a loved one are in need of help, consider our wilderness therapy programs. Our professional and caring team can help good kids who are making bad decisions turn their life around for the better. 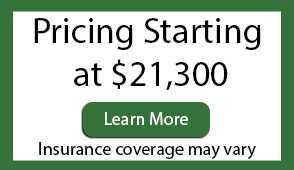 Call us at (800)794-0980.